This product is available in both the ½ inch or ¾ inch sizes, Crushed Clear Rock is a popular choices for pathways leading to home entrances, or anywhere in need of drainage. The name “clear” refers to the absence of a binding agent, meaning less small material to track in on shoes and boots. The difference between the ½ inch or ¾ inch is mostly appearance, with the ½ inch looking more decorative and less commercial. The benefit of a “clear” product is less moisture retention, so less chance of vegetation taking hold in your pathway. Installed with a good weed barrier below it, the Crushed Clear Rock should remain relatively weed free. The issue of depth, like driveways, is still to be considered, as a deep layer of Crushed Clear Rock is more likely to move when walked on. For High Traffic Areas or Driveways we would recommend our 3/4 Stone Base, or 3/8 Cart Path because they contain a binding agent which allow them to pack down and therefore will not shift when walked or driven on. These gravel products are typically sold in bulk, loaded a 1/2 yard at a time. For your convenience we also carry them in 40lb bags, or you can bring your own 5 gallon pails or garbage cans and we would be happy to load those for you as well. See below for tips on creating pathways and driveways. This Product, also known as screenings, gets its name from its use on the golf course. 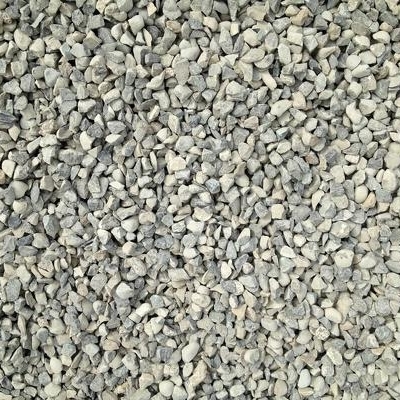 Consisting of 3/8 crushed rock and crusher fines this product will pack up nice and hard and is mainly used for pathways, driveways or anywhere a heavier wheeled vehicle such as a tractor would need to travel often. The only downside to the product is its lack of drainage. If drainage is a concern for you, we would recommend the 3/4 Stone Base which has the same binding agent however the larger rock allows for better drainage. This material, also known as road base, is a 3/4 Crushed Rock with screenings which act as a binding agent allowing the product to pack up hard and stand up in high traffic areas. It is mainly used for driveways, parking areas, pathways, or anywhere you want a compact surface while still providing drainage. There are many different material options for driveways and pathways. Various gravel materials offer different results. The following is only a guide, designed to be of assistance when choosing your material/products. Much of the decision is really about customer preference. Most existing driveways will require only approximately 2 inches of depth of material to resurface it back to original condition. This is also a variable, since some conditions, such as potholes or deep mud may increase the depth required.